Lightroom vs Photoshop: Which One Is Better for You? There’s a sense among beginner photographers that Lightroom and Photoshop are pretty much one and the same. But the two are quite different. Probably not as different as night and day but different nonetheless. So which one is better, Lightroom or Photoshop? Just like a lot of other things in life, the answer is “it depends“. It’s an old age question that most photographers asks themselves at one point or another. Problem is, the answer lies not so much in doing a comparison between the two but in defining what you need for the project you’re doing. Both are no doubt great programs, but when it comes down to which one is better between Lightroom or Photoshop, one may be better suited for your project than the other. In this article, we’ll show you the difference between the two and also cover when Lightroom trumps Photoshop and when Photoshop performs better than Lightroom. Let’s start by outlining about some of the differences between the two. 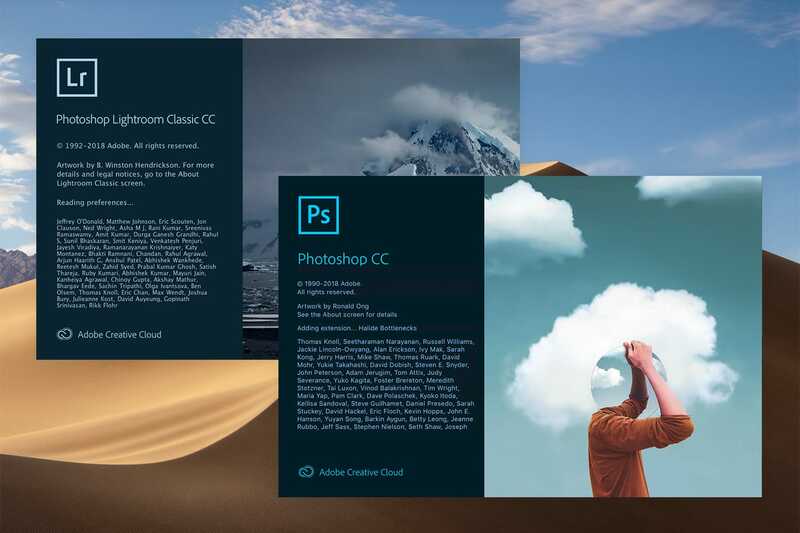 Photoshop is essentially a digital Cadillac of image editing that offers you an extensive editing platform for heavy-duty edits. It is equipped with tools for layer creation, advanced retouching, panoramas, photo merging, and adjustment filters. When Should You Use Photoshop? If you are required to make detailed edits or like to focus on one image at a time, Photoshop is definitely a winner on that front. If you’d like to create composite images (replace the sky, mix elements from different images), Photoshop is the undisputed king. Photoshop has some very advanced retouching features. The tools and the level of control you get in Photoshop is unmatched. Want to remove bags under the eyes, remove blemishes, or get rid of stray hairs, Photoshop is what you’ll want to use. You can use actions to automatically do some repetitive editing tasks for you. For instance, you can use photoshop actions like the Free Portrait Photoshop Actions or the 18 Free Vintage Photoshop Actions to add intensity to your colors or make your photos true classics. Layers and layer masks: this is a biggie in Photoshop. Layers allow you to stack elements and edits on top of each other and reveal or hide portions of your elements. Photoshop is what we call a “destructive” photo editor. What this means is that changes you make are applied directly to your image and saved in a PSD file. Learning how to use each feature can be challenging and overwhelming even. Photoshop, at its core, is designed for working on individual files/photos. There is no library or catalog feature like you have in Lightroom. Photoshop is not workflow centric. Sure it can be a part of your editing workflow, but Photoshop is not designed to work with groups of images or apply edits to multiple photos at once. Lightroom is often seen as a simpler version of Photoshop (it’s not!) but it boasts a myriad of features that make it easy to create a complete workflow. It is the industry standard when it comes to photo editing. When Should You Use Lightroom? Lightroom is a unique photo editor that helps you import, manage, organize and find your photos. If you’re likely to work with large batches of photos and are looking for a more efficient way of editing your work, Lightroom is the perfect tool for your needs. While Lightroom doesn’t have all the more advanced tools found in Photoshop (layers, pixel-precision editing), it is nonetheless an extremely powerful piece of software. You can quickly and easily make adjustments to the exposure, contrast, vibrance, saturation, white balance and a host of others via an intuitive panel. It covers nearly everything you might need in your post-production process. Whether it’s importing images, sorting through them, organizing, printing photos or sharing, you can do it all from within Lightroom. Lightroom can be a time saver, especially when using presets – that way you can dramatically reduce the time spent editing a batch of images. Your original images remain intact. Lightroom, as it’s a non-destructive editing software, uses “virtual copies” of your images. Editing RAW image files is what Lightroom does best! There are tons of presets available for download out there (free and paid). For example, this free bundle of 10 HDR Lightroom presets is a great starting point. Or you can purchase complete workflow bundles. Lightroom might not the best platform if you’re looking to do extensive retouching. It can’t do any heavy image manipulation like replacing skies or removing the background of an image. Lightroom is designed to edit photographs. With Photoshop on the other hand, you can design other things like websites, brochures, flyers, and business cards. Lightroom and Photoshop are unique editing tools in their own right and both offer tons of value to photographers. However, what determines which one you will use is the nature of your project. Amruta is an avid photographer, dog lover, and foodie. She works as a marketing expert for the deals website PhotoWhoa bringing amazing deals and discounts to thousands of photographers around the globe.